Allenwood locals, keen to ensure that the village and surrounding area profits from the anticipated Grand Canal Greenway, have submitted proposals to Kildare County Council. The proposals, if implemented, will see greater links between the Greenway and the village, and to broaden the usage of the new facility to enable it be used for local commuting. 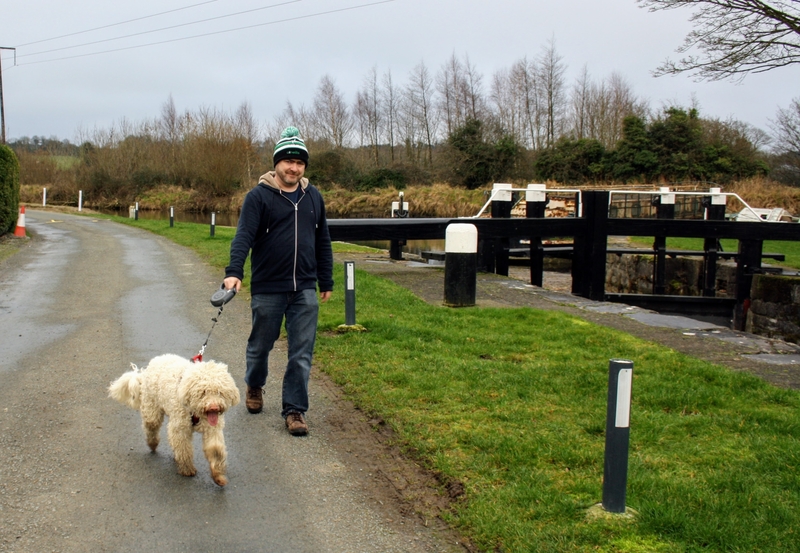 Brendan Wyse, a local election candidate for the Clane area for Fine Gael and secretary of Allenwood Tidy Towns, has spent the past the past few weeks getting feedback from residents in the villages and townlands that surround the canal. “In Allenwood South, where I live, we have a large population of the wider Allenwood community that is isolated from the main village because the main Clane to Edenderry road is too busy now with traffic from the Drehid waste management facility to safely walk or cycle. “This means our only means of reaching the local school, shops and post office is by driving our cars,” he told the Leinster Leader. “There is an estimated 400 families in Allenwood South, Lullymore and Killina that will now benefit from this safe route to Allenwood Cross. I’m asking the council to give that some serious consideration. He said he believed that the installation of solar powered LED lighting would mean that the Greenway from Shee Bridge (known locally as the Skew Bridge) to Bond Bridge (known locally as Derrymullen Bridge) could be used safely, even in dark winter evenings. In his submission, Mr. Wyse also pointed to a lack of a complete footpath from the centre of Allenwood village to the Greenway. “There is a short section of 150 metres of footpath missing from Allenwood Cross to Bond Bridge that will force people to walk or cycle on the road to reach the Greenway. “It is vital that this section of pathway is completed or the entire route to Allenwood South, Lullymore and Killina will remain unsafe.” He noted that it “would be a shame to have kilometres of perfect pathway along the canal, disconnected from the services in Allenwood, by just 150 metres”. He said that linking the Greenway properly with local communities is essential to entice commuters to start using it. And he hoped Kildare County Council and Waterways Ireland would get it right from the start.